This piece is a 10 foot long 40 inch wide farm table with 5 inch by 5 inch tapered hand hewn legs. The entire piece is made of reclaimed white oak. The top of the piece has saw marks, nail holes, checks and staining but has been planed flat and semi smooth. The breadboard ends on this piece are active working breadboard ends for stability. 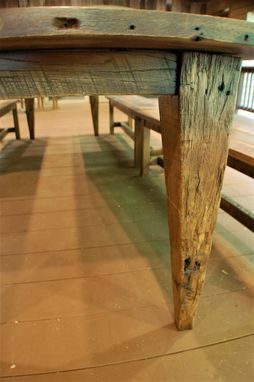 The legs are made of solid hand hewn white oak that has been buffed smooth. 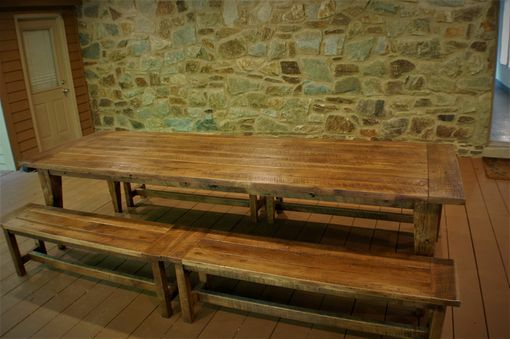 The benches are also made of reclaimed white oak. The top has the same appearance and texture as the table and also has bread board ends. 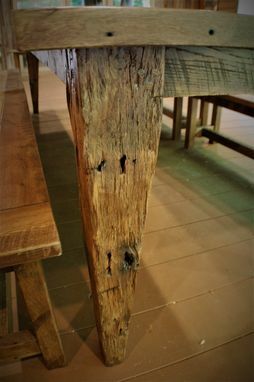 The legs have a weathered finish but are square with a simple trestle. They measure 60 inches long by 15 inches wide by 18 inches tall. 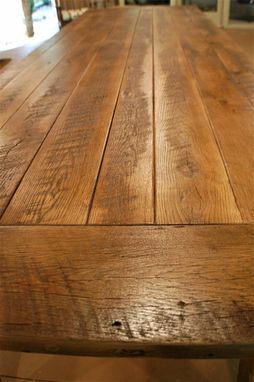 All pieces are made using the strongest traditional joinery. All pieces are mortise and tenoned at all interfaces and locked together with pegs for added stability. All furniture is finished with a UV resistant waterproof poly finish. 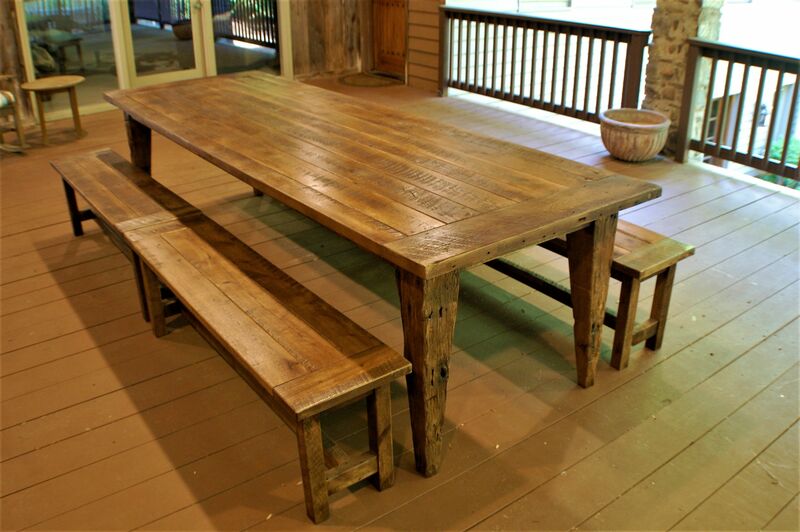 This piece is a beautiful focal point to your dining room. 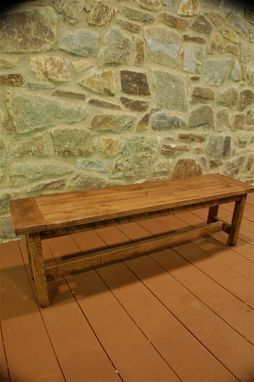 This table is made of rustic materials but has an eloquent feel. This piece is available in multiple sizes. There will be variation in materials because of the innate character of reclaimed material but all efforts will be made to match the original design. Other woods are also available upon request. Shipping price is for east coast only. Piece will arrive fully assembled. West coast and Midwest shipping is also available please contact me for shipping price.